In the Matzikama region of South Africa, 300km north of Cape Town, Steilhoogte Primary is home to more than 120 young children from surrounding farms. The children are the offspring of farm workers in the region but also herald from families where unemployment is a way of life, and it’s in these testing conditions that food can be hard to come by when school is closed. 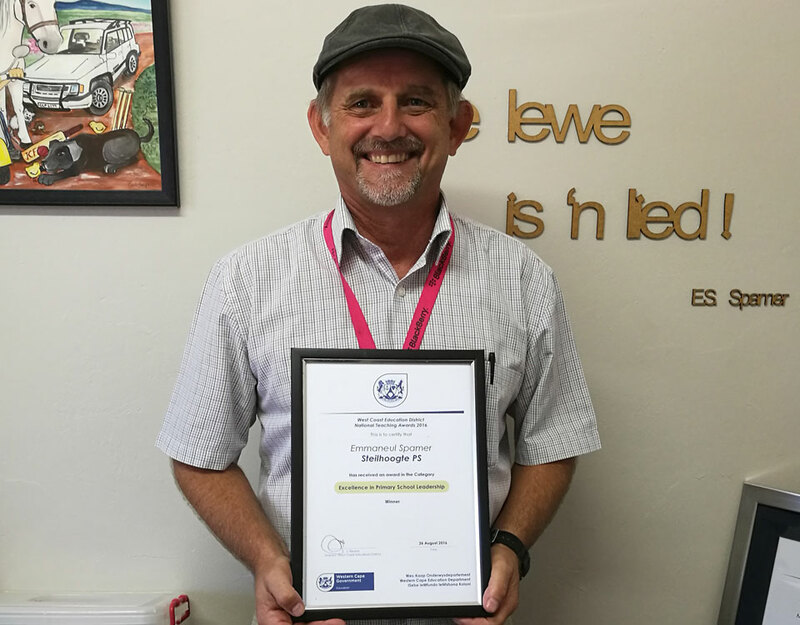 Going hungry, says Steilhoogte Primary principal Manus Spamer, affects children’s physical performance, but severely hampers their mental aptitude too. “Often the children spend the holidays without any food at all. One child lost 5kg over a long holiday,” says Manus. In a region where farming and education are inextricably linked, the region’s star producer, Stellar Winery, has stepped up in the wake of this food crisis. Stellar Winery is South Africa’s largest producer of fine, organic, fair trade wines. Willem Rossouw, MD of Stellar Winery, has kickstarted a feeding scheme overseen by the non-profit Stellar Foundation, an entity through which Stellar Winery’s social responsibility activities take place. The scheme aims to help the children of Steilhoogte stay nourished during holiday time. “We believe that education and proper nutrition are two of the most important factors in early childhood development,” Willem says. The scheme has enabled Steilhoogte to stay open during the school holidays and assist the children. “The monetary support from Stellar Foundation is priceless,” Manus says. Manus estimates that between 40 and 120 children eat at Steilhoogte daily. “We are extremely grateful that Stellar Foundation recognised our needs and that they want to help in such a practical way. Together with the feeding scheme, many other organisations have also become involved, which means that we can also develop programmes which run concurrently. Apart from the holiday feeding scheme, Stellar has also funded the building of an additional classroom at Steilhoogte. “This room will be used to teach life skills and practical skills to children with learning disabilities,” Willem says. Stellar is actively championing the empowerment of the farm workers themselves, who are very often the parents of the children in need. “Empowering a workforce is the surest way to get people invested in the work they do, but to also think about their future,” Willem says. The Stellar Empowerment Trust (SET) serves as a forum for workers and the SET is the owner of a 26% shareholding in the winery. The workers are the Trust’s beneficiaries with SET managing the income derived from Fair Trade sales. “By nourishing those in need and laying down a foundation for the local children, we hope to see this region prosper,” Willem says. Since its founding in 1998, Stellar has won acclaim for its organic, fair-for-life certified, and vegan-friendly wine. These wines are shipped all over the globe, from Canada to Madagascar to Japan. However, it is the social responsibility projects back home, in the heart of the Matzikama, that act as the driving force of the brand.